When more than one table is involved in the query, DBAs find themselves having to answer questions about how indexes work with joins. Unfortunately, there’s a lot of misinformation out there. 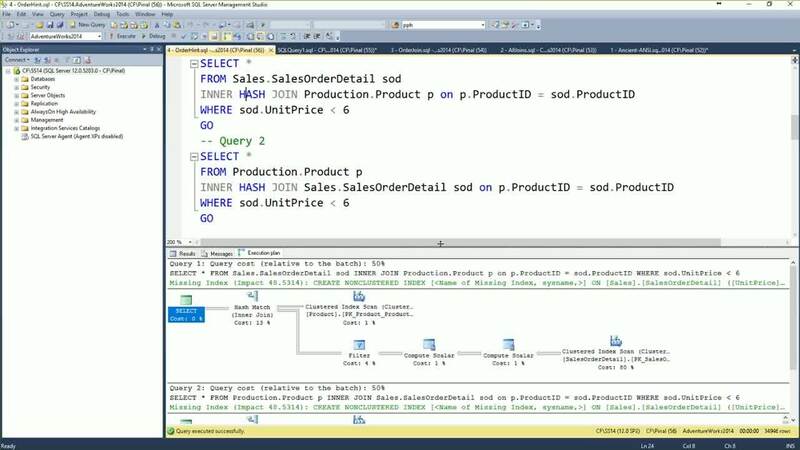 This video will demystify some of the most popular myths related to SQL Server® joins, indexes, and performance. Does the order of columns matter in joins? Does the order of columns matter in indexes? Does the order of columns matter when used with joins and indexes? How do you optimize queries with multiple joins? Does the order of tables in the join matter for performance?